iSample is a very powerful sample based music production tool. iSample ships with over 50 MBs of samples created by Mutato Muzika (founded and run by Devo’s Mark Mothersbaugh) that provide a great starting place to create your own jams, and also to get started with iSample. * 6 separate sampler engines that can record and playback and loop samples up to 30 seconds in length. * WiFi Sharing that allow you to upload and download samples using a clean and powerful web browser based interface. * Easily accessible tempo management with a Tap feature. * Sample trimming with pinch to zoom, two finger scrolling and scrubbing. * Tempo based sample length quantization. 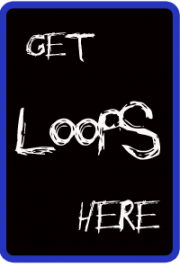 * Graphical Looper screen that allow you to position samples dynamically while looping. * Delay and Reverb effects. * Pattern sequencer with 12 stored patterns. * Song mode that allows you to chain patterns together to create songs. * Ergonomically designed for the iPhone or iPod touch screen. * Even large fingers can play easily. * Unique multi-touch recording makes for very fast and accurate mutiple sample captures and accurate slicing of sounds. * Record lock feature allows you to create longer recordings without touching the pads. * 6 sample pads with direct to file recording. * Very fast response to pad touches. * Up to 6 samples can be played at the same time. * Banks of pads can be saved and loaded. iSample is a great tool for singer/song writers to capture song ideas because it lets you create up to 6 separate parts on the pads allowing you to play with your songs order or just to preserve ideas for later use. iSample is a very responsive sampler/looper that lets you create 6 samples in a bank. You can load and save your sample banks to create a library of sounds. When using the built-in speaker as audio output, iSample allows you to overdub by allowing you to play sample pads while recording. Note: We have submitted an update to Apple to correct an issue with iPod Touch devices that causes iSample to make no sound. In the mean time, if an iPhone style headset (with mic) is used on your iPod Touch or an external mic is connected, iSample will work correctly.